The Fantasy Comic Portal is a community for and by Fantasy/SF Comic creators and readers. We aim to bring together as many people as possible who create or enjoy (mostly long-form) comics and to create a resource where people can find help and material for their own comic projects. Currently we've only just set up, so don't mind the scaffolding. So create yourself an account, make your way to the forum or have a look through our list of comics. Spiderforest Collective open for applications! 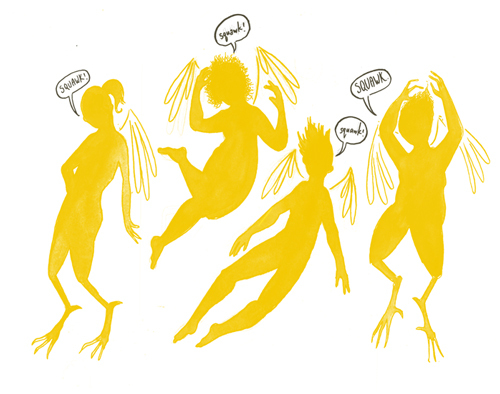 The Harpy Agenda is a no-strings-attached microgrant of $100, for an exceptional piece of comics criticism or comics journalism, by a writer of color. It is co-administered by Shing Yin Khor and Taneka Stotts. To help compensate comics journalists and critics of color for the often free, and always invaluable, work that they do. To promote diverse, unique, and new voices in the field of comics criticism and journalism. 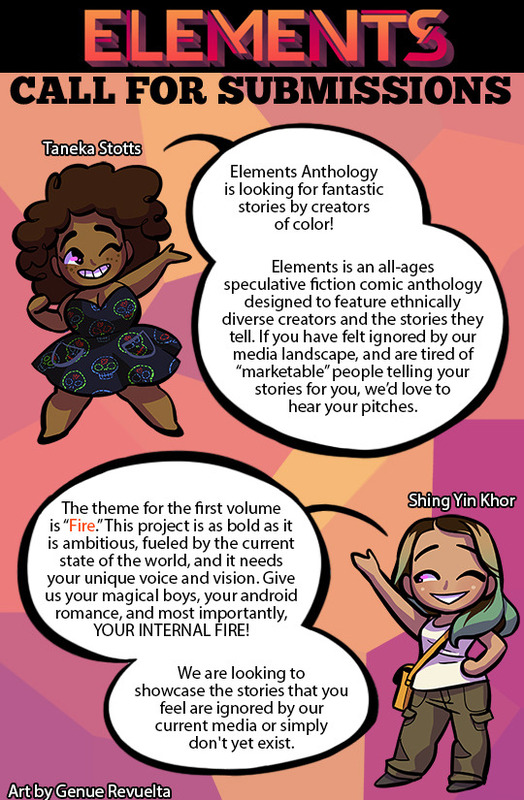 To encourage the development of complex, thoughtful, and passionate, comics criticism and journalism, from writers of color. A minimum of one grant will be awarded monthly. Heeeey guys. 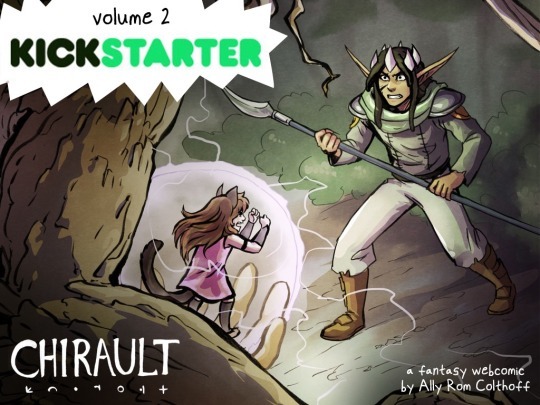 My Reverie colleagues from Snow by night are doing a Kickstarter to print their 2nd book. There's only a few days left to support them and get the book(s). They still need a little nudge to make their goal so I thought I'd share it here as well . Signal boosts are appreciated! Cool plugin for super fast creation of selectable area's for your flat colors. Note: This plugin is only helpful for people with clean inking styles. Interactive color wheel with tools to select various color contrasts. free plugin that gives you a different (more elaborate) color select window. Online comic font collection, both lettering and sound effects. Also has some interesting resources about lettering. price: most fonts are free or affordable. Online comic font collection, both lettering and sound effects. price: plenty of free fonts. A visual font manager. Allows you to browse all your fonts infinitely easier than trough the normal Photoshop window for instance. You can also group fonts into convinient categories, and it has a Photoshop plug in. USA comic artist (your typical super hero stuff), he does have a lot of cool resources on his website like a perspective path and the official US comic sized tablet file and some other stuff you can download for free. He also posts a lot of tutorials on his youtube channel. Comic guru! Doesn't need any further explanation. Easy to learn easy to use 3d software. (Super useful for building your set-locations) There's also a lot of resources on how to use it+lots of free models that you can download for reference. handy to use the bases as artist model reference for those poses/angles that just refuse to come together. price: the basic package is free (atm) although some models aren't. Dropbox allows you to create a folder that will sync all it's content with their storage online. You can access your files from every pc or (mobile device), you'll never have to worry about loosing your valuable source files to hard drive failure, and you can create shared and or public sub folders (ideal if you work with a team) DB also tracks versions so if you ever screw something up, you can go back to a previous version without any hassle. All data is safely encrypted btw. Alows you to customize the pressure curve of your wacom tablet. note: I haven't tested it myself (use at own risk). I thought it might be helpful to group these in an insightful/accessible way. If you know of any resources or categories that should be on this list, please do share them and I'll edit them in. Also, if you find a broken link, let me know. Your first convention can be a daunting thing, and we all make silly mistakes whether we're new to the scene or battle scarred veterans. The point is that as a community we must learn from each other and always experiment in order to improve our own knowledge and abilities. I'd like to begin this guide by mentioning that this all comes from my experience at UK conventions, these are things that work for me and may not always work for everyone else. But, some of these ideas will be universal, please don't feel that you need to stick to them 100%, deviate from them and find what works best for you. Make a plan and check list - before you leave for the event, make sure that you know what you need to take with you, where you're going, how you're getting there etc. There's nothing worse than arriving at an event and realising that you left something important back home. Equally it's just as bad realising that your train/bus will get you to the event late, or that you miss it on the way back. Commonly forgotten items that you should make sure to take with you include; table cloth (flame resistant in order to keep to health and safety codes - I personally use a single flat bed sheet but you can make a custom one yourself) - I suggest making sure that your table cloth is big enough to cover a standard convention table which is normally 6ft x 2ft with a height of 3ft. Food/water and spare cash - you'll have cash in your cash box to make change for customers, but whenever you travel you should always have some spare cash in case of emergencies, and since you may be spending all weekend behind a table, make sure you have food and water to keep you going. Convention halls can get rather hot and it's important to keep hydrated. Speaking of temperature - halls can vary between being freezing and ridiculously warm over a matter of hours, make sure that your clothing reflects this. Can you carry the case? Even if you have someone along to help you - make sure that between you it's possible to carry your case that contains your merchandise/signage. If you're travelling by car, this is eliminated slightly but on public transport it can be tricky. For instance I travel from Newcastle to London for a lot of events and find that my wheeled case is perfect for transporting my items. The trouble comes on the Tube where some older stations require carrying it up and down lots of stairs. Look at what veterans are selling and adjust your pricing accordingly. You can also use a trial/error approach and if something sells incredibly quickly for £1 - try selling it for £2 next time. Have a variety of items on your table - I normally have comics, badges, bookmarks, art prints, cat ears, custom sketches, etc. on my table depending on the event. The point is to not "put all of your eggs in one basket". I've seen brilliant artists in small press show up with nothing but a sketchbook - no examples of their work - and then leave disappointed when they made no sales. Same with those who turn up with only comics. Make sure you vary your prices. The general rule is that you should have THREE main pricing tiers in order to sell to the widest possible audience. Tier 1 - something for under £2, that could be bought with the little bit of change or pocket money that they have left. This tier applies mostly to those who are low on cash but still want to buy something from you - I normally offer badges or mini comics at this tier. Tier 2 - the medium tier where people have some cash but are usually saving their money in order to make it last over the weekend. I normally offer single comic issues, A4 art prints and sketches in this tier. Tier 3 - these are for people with a lot of money to spend and they (for whatever reason) want to spend it on YOU. In this tier, offer larger art prints, bundle deals with multiple comics, throw in some extras and perhaps include your art commissions in this. Deals. People like to know that they're getting a deal or some kind of discount. Make sure that you work these out beforehand, because you don't want to end up losing money due to a badly designed deal at the event. Normally these are when someone buys a full set, or a bundle of some sort. Include a sketch in with a comic for a little extra. It'll be cheaper for the customer than buying a comic AND a sketch - even if they're only saving 50p it's still something extra that they've gotten "for free". Layout of your table set up is very important. It is a key part of a) getting people to come to your table b) getting them to buy something. Firstly, don't clutter your table, make sure that everything is clearly on display and inviting to look at. Customers will be put off if they can't quickly see what you're selling and how much it is. Take a tip from point of sale displays in shops - you have two "big ticket" items and the rest are "extras". Sometimes this may not be the case, it's up to you to decide which items are going to have your main sales pitch behind them. In our cases this would probably be our comics. Place the "big ticket" items on opposite ends of the table, in prominent positions. The reasons for this are two fold - they attract attention no matter which direction the customer is coming along the aisle BUT they also force them to look over the whole table. This means that they will have to see all of your other products as well. Lift them up - anything that you can, make or buy some sort of stand - don't have everything flat on the table. If it's flat people can't see it clearly from afar, when standing up people will spot it more easily. For signage I use a set of wire storage cubes that can be broken down and stored easily. They're handy for putting things on display and can be arranged in a variety of ways. Invest in a banner to stand behind your table - the graphic tells people who you are and invites them over. You can buy one cheaply on ebay and supply the artwork (my current one cost £30). Freebies - these can be anything from individually wrapped sweets, old items you're trying to get rid of, bookmarks etc. Just make sure that you try to get your web address on there somewhere. AND INCLUDE A BUSINESS CARD/FLYER AMONGST THESE ITEMS. Make sure that you have reading copies of your comics - copies that aren't for sale, aren't bagged up and have "READING COPY" or "READ ME" etc. written clearly on the front. These are going to get picked up constantly at the event and a free read does get peoples attention. If they like what they see they are more likely to buy your comics and this also stops your comics getting damaged by being handled so frequently. This will seem silly but, if you have a display folder with art prints and example commissions - label it up with arrows encouraging the customers to flip over to the next pages. You'd be surprised at how many people at events seem scared to flick through a comic or a set of art prints without being invited to. Most of the small press community are friendly enough. We're all in the same boat and we aren't taking sales away from each other. Be professional but don't be afraid to chat with or help out those around you. They will do the same and gaining friends amongst the community/networking is never a bad thing. Making friends that you can trust to keep an eye on your table whilst you run to the toilet or get a coffee. Always offer to pick something up for your neighbours when you go on coffee runs. Smile, draw, and talk. The sight of an artist sketching can draw a crowd at any event, but a hard sales tactic can get rid of that crowd just as quickly. How many times has a sales person came up to you in a shop and you've suddenly lost interest in buying anything because they've "hassled" you? At conventions there are many people who will vanish if you so much as say "Hello" whilst they're browsing your work. Chat with people, be friendly and open - that way they get to know you a little and are more inclined to buy something because they like you. Talk to them about the event, about your work or about what they do. Don't worry about geeking out. And don't worry about fans turning up and geeking out at you. It's a shock the first time a fan turns up at your table, but it's important to realise that we've all done it too. I remember making a fool of myself the first time I met Tab Kimpton, but he's since became someone I consider a friend. One trick that I've found, that you may find useful; sell to cosplayers. I'll explain - when trying to make a sale, most of the time it means trying to play up the part of your work that they're showing an interest in. I had a woman ask me if Fera was "feminist manga" and since that's what she wanted it to be, I agreed even though I've never thought of it that way before. But with cosplayers, they wear on their sleeves exactly what they're interested in (almost literally). If you see a group of cosplayers coming down the aisle, pick out the one that's paying the most attention to tables and quickly sketch the character they're dressed as. This is a little cheeky, but it works 99% of the time. And the point of it being a group means that in some cases, if one of them decides they want a sketch of their character, the others will follow suit. Have fun. Conventions are work, and being trapped behind a table can be tiring but remember to enjoy the event. Well that's everything that I could think of at the moment. Feel free to add anything that you've picked up at events below, or ask questions etc. if there's anything more specific you'd like to know. I'm putting together an online resource for creators and exhibitors, to help pass along tips, advice and inspiration to convention going artists both new to the con scene and those battle scarred veterans. If you're interested feel free to submit guides, articles, tales of conventions past, or photos. Besides all the millions of blogs, books, and tutorials out there , there is one resource that has helped me a lot when starting a webcomic, "Podcasts". I like them because it is something I can listen to while at the office, on the train, or at home working on my own comic ^__^ I find they keep me motivated and connected to the webcomic community. So I wanted to collect a list of podcast episodes on this thread that are relevant to long format/and or fantasy comics (this includes interviews of fellow fantasy creators) so please recommended! This is the only podcast i know run by professionals (and features a host who has a long format comic), good advice on story writing and the business side of comics. This podcast has a roundtable of comic artists that discuss problems and challenges they face when creating and promoting comics. Interesting and sometimes insightful but sadly all the perspectives are from strip comic creators. A huge archive of Interviews with webcomic creators, I think these guys have talked to almost everybody on the internet by this point. I haven't had a chance to listen to all their shows yet so if something stands out I can link it here. I made this forum and this post after the fantasy webcomic roundtable at WebREEF this weekend, which inspired me to try and create a community for fantasy webcomic creators. I've had this domain (fantasycomicportal.com) for years, but never did anything with it because I lacked the time to do what I wanted. I figured it would make a good place for this project though. First, though, I want to know YOUR opinions (and by YOU I mean mainly fantasy webcomic creators). What would you like to have here, what are your ideas, suggestions and wishes?